Do Visit Tenma While You’re in Osaka! If you love visiting shrines, going shopping, and frequenting bars and clubs, then consider dropping by Tenma in Osaka! On top of this, there’s also good food to relish. Not too far from Shin-Osaka Station, Tenma is convenient to visit even for day trips, in case you’re coming from a different prefecture altogether. Located in the east of Kita district in Osaka, Tenma is a neighbourhood that’s well-known for its bustling nightlife. It’s home to Osaka Tenmangu Shrine, from which the area got its name. There’s also the Tenjinbashi-suji Shopping Street that is the longest shopping arcade in the entire prefecture. 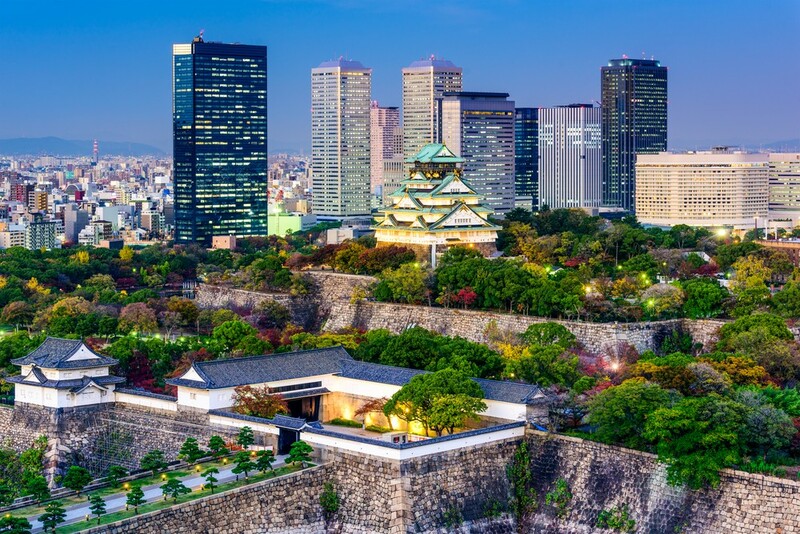 Osaka happens to be one of the ultimate food destinations in Japan. So, if you’re in search of tasty delicacies, you’ll be spoilt for choice here in Tenma! 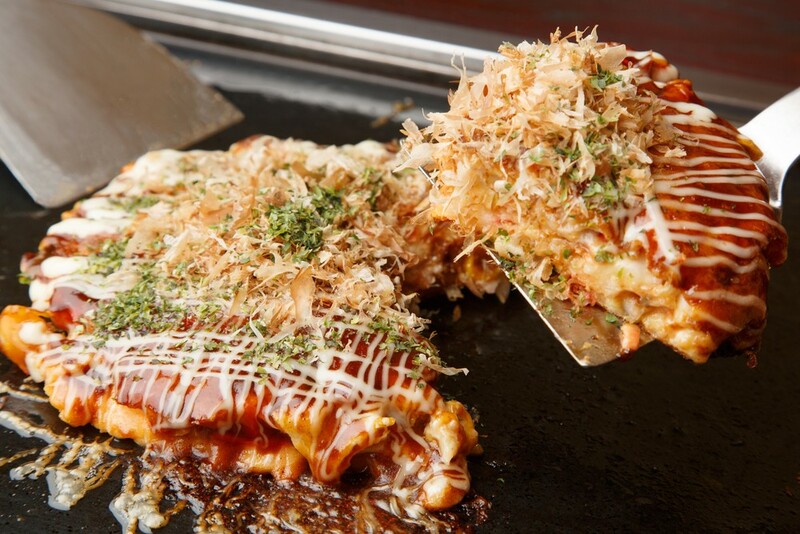 One dish you should absolutely try is okonomiyaki since it’s the prefecture’s specialty! Loved by the locals, Chigusa is a restaurant that apparently serves one of the best okonomiyaki in all of Osaka, as the sauce served with it is very delicious. If you’re in the mood for street food and like eating octopus, then do give takoyaki a try! Doraku Wanaka Tenroku is a favourite among the locals as well. They serve the yummy treats with four different types of sauces to choose from, which just enhance the flavour of the breaded octopus even more! This refers to the ukiyo-e (woodblock) print of the Tenma Tenjin Festival in Osaka, which was made by Utagawa Toyoharu in the mid-1770s. A beautiful piece of art, the print depicts the Tenma Bridge during the Tenma Tenjin Festival that’s held every year. It shows a night scene, where boats full of musicians and dancers are sailing under the said bridge that’s lined with lanterns. It’s set against an inky-black sky sprinkled with stars. It’s quite breathtaking and is something that art enthusiasts would admire. This business hotel is within walking distance of Tenma Station, making it conveniently located. The guest rooms are fully furnished to ensure your comfort during your stay, and you have non-smoking as well as smoking rooms to choose from. There are open-air baths and a large communal bath with sauna that you can use to relax in after a long day of sightseeing. Then, grab a bite to eat at the on-site restaurant or have a drink at the bar. Room rates are quite affordable as they range from ¥3,500 for a single room to ¥8,840 for a double room. Getting from Tenma Station to Shin-Osaka Station is very easy and doesn’t take much time at all. Just hop onto the Osaka Loop Line heading to Osaka Station, then take the Tokaido-Sanyo Line bound for Shin-Osaka Station. It should take about 10 minutes and cost ¥160.